Dr. Walid completed his MBBS in 2001 and Master’s Degree in ENT in 2006 from Cairo University. He worked in Cairo University as an Assistant lecturer (specialist) of ENT where he attended outpatient clinics, performing and assisting in surgeries of various ENT cases. Dr. Walid got his Doctorate of ENT in April 2012 from Cairo University. He did his Neurotology Fellowship from Vanderbilt University Medical center, Nashville, TN, USA in 2010 during which he contributed to a few international publications, attended multiple temporal bone courses, trained on ear surgery, cochlear implantation, middle ear implants and BAHA surgery. 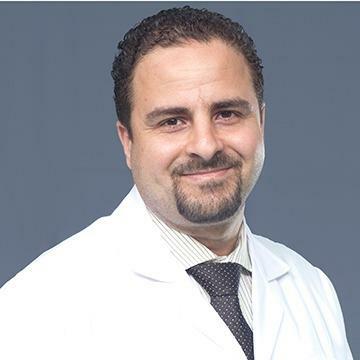 Dr. Walid has vast clinical expertise in procedures like adenotonsillectomies, grommet insertion, ear surgeries including tympanoplasty, mastoidectomy, stapedectomy, canaloplasty, nasal surgeries including: rhinoplasty, sinus surgery, microlaryngosurgery, submandibular surgery, thyroglossal sac or sinus excision, preauricular sinus excisions and others. He has special interest in ear surgery, deafness, dizziness, rhinoplasty, sinus surgery and snoring. Dr. Walid has a total experience of more than 13 years. He can speak fluent English & Arabic.